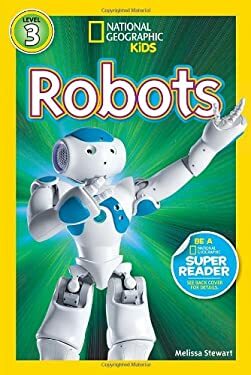 Discover the coolest robots of today and tomorrow in this colorful, photo-packed book. In this inviting and entertaining format, kids will learn about the science behind these amazing machines. This Level 3 reader is written in an easy-to-grasp style to encourage the scientists of tomorrow! National Geographic supports K-12 educators with ELA Common Core Resources. Visit www.natgeoed.org/commoncore for more information.